The following episode was recorded on December 3rd, 2017 on location at The Kingsland music venue in Brooklyn, NY. 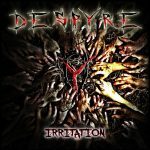 Today Matt welcomes Rob Malvagno (vocals) and Kevin Cassidy (bass) from the metal band Despyre. 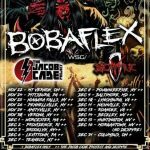 Grabbing a chance to speak with the band before playing The Kingsland, Matt chats with the guys about life on tour and playing live shows with Bobaflex. They also discuss the music video for their first single “Irritation” off their eponymous EP, they chat about their origins as a group—citing the band that influenced their sound—and they describe how having children has kept them on their toes in discovering new music. And so, from the positive and negative effects of the music industry to the inside scoop on their band name, here’s presenting Rob and Kevin of Despyre. 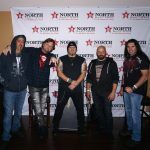 heavy metal, interviews, metal. Bookmark.